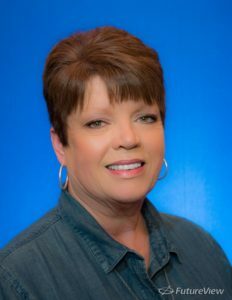 My name is Kim Stump and I have been the Spencer County Property Valuation Administrator since December 2007. Prior to being elected, I was a deputy in the P.V.A. office for 7 years. I am truly honored to serve as your P.V.A. and would like to thank the citizens of Spencer County for placing their confidence in me by electing me to this position. I have thoroughly enjoyed serving as your P.V.A. and look forward to serving you for years to come. As a lifelong Spencer County resident, I have a genuine desire to serve the citizens of this county and to help in any way I can to make Spencer County a desirable place to live, work and raise a family. Through commitment and a unified effort by all who are citizens of this county, Spencer County can truly be considered as one of the most progressive counties in the Commonwealth. Since being elected to serve as your P.V.A., I have seen some of my goals for the office become reality. One of those goals was to have our property information available on a website. Through proper planning and management of resources, the website is now in operation. This website will serve as a convenient tool for the citizens of Spencer County to gather information about the PVA Office and matters that affect them. Again, thank you for entrusting the office of P.V.A. to me, and if I can ever assist you, please do not hesitate to contact me. 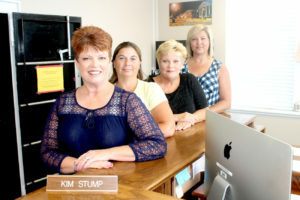 From left to right Kim Stump PVA, Pam McClain Deputy, Terri Slucher Deputy, Michelle Housley Deputy.